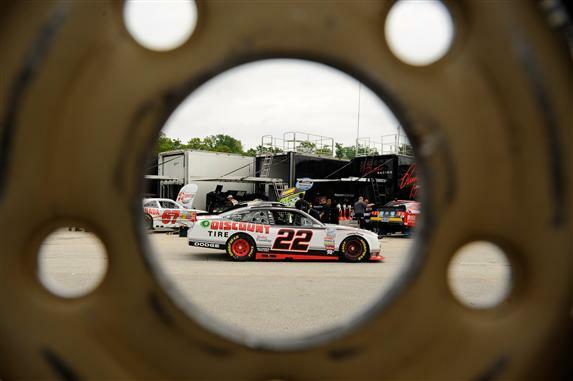 For the second year in a row, the 4.048-mile Road America awakes with the sound of 700-plus horsepower stock cars of the NASCAR Nationwide Series. Situated in Elkhart Lake, Wisconsin, the scenic but renowned race track of Road America has been most recognized as a site for open wheel and sports car battles. The site of a fantastic road race last season, stock car regular Carl Edwards won the inaugural NASCAR Nationwide Series event by outperforming some of the best road racing ringers such as Jacques Villeneuve and Ron Fellows. Due to the NASCAR Sprint Cup Series holding a road course race in Sonoma, California, the high-profile stock car regulars (many of whom competed in the last event at Michigan International Speedway last Saturday) have elected not to pull the weekend double-duty. Due to the distance between the weekend's NASCAR races and top placement in NASCAR Sprint Cup points, even the reigning 2010 race winner Carl Edwards is foregoing the event (ending a continuous NASCAR Nationwide starting streak dating back to a June 2005 race at Kentucky). For Road America, Edwards' #60 Ford Mustang for Roush-Fenway Racing will be wheeled by development driver Billy Johnson. Making the most of a four-time winning car in 2011, Billy Johnson posted a fastest time lapping the 4-mile race track in the NASCAR Nationwide Series' first practice session. Posting a time of 2 minutes, 14.871 seconds around the 14-turn road course, the 24-year old Johnson was immediately quicker than Jacques Villeneuve and Michael McDowell. Confident on the #60 Fastenal Ford's performance, Billy Johnson and the #60 team did not participate in the NASCAR Nationwide Series' final practice. Roush-Fenway Racing teammate Ricky Stenhouse Jr also sat out the second prep session for Saturday's Bucyrus 200 race. Stenhouse Jr posted a 7th fastest time in his #6 Ford Mustang during the earlier practice at Road America. A weekend without the typically strong Sprint Cup competitors, a less known but no less talented crowd of drivers are given a chance to claim the spotlight. For this event, Michael McDowell his been granted the ride that Kyle Busch often wheels in selected NASCAR Nationwide Series events. 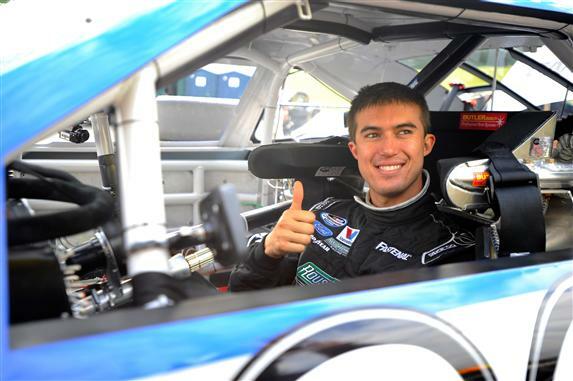 Driving the #18 Toyota for Joe Gibbs Racing, McDowell draws upon his Star Mazda and Grand Am road racing series experience to preside in the top-3 for both practice sessions at Road America. NASCAR Nationwide Series title contenders like Reed Sorenson, Elliott Sadler and Trevor Bayne showed competitive pace as they take a break from left-only turns. Sadler posted a top-10 time in both sessions driving the Kevin Harvick Incorporated #2 Chevrolet eager to gather important driver championship points in Saturday's Bucyrus 200 race. Elliott Sadler is only 2 points behind current championship leader Ricky Stenhouse Jr. Practice for the Bucyrus 200 at Road America also saw a set of notable but part-time competitors lapping the 4.048 mile track. Drivers often chosen by teams only for the three road courses on the 2011 NASCAR Nationwide Series calendar (so-called 'Road Ringers'), talents joining the stock car tour at Road America includes a number of successful stars of sports car, Indy-style car and even Formula 1. Second-fastest in the first practice and third highest on the second session's time sheet, 1997 Formula 1 champion Jacques Villeneuve returns to NASCAR this season in the Penske Racing #22 Dodge Challenger. Last season in this event, Villeneuve fought hard for Braun Racing until a late-race mechanical problem concluded a chance at a top-5 finish. While Jacques Villeneuve will be driving a car commonly competed by Brad Keselowski, the #33 Chevrolet owned by Kevin Harvick Incorporated is also calling on decorated road racer Max Papis. An expatriate of sports car and open wheel driving, Papis last time competing a NASCAR stock car on a road course almost ended with victory. Battling to win the Napa Auto Parts 200 at Montreal's Circuit Gilles Vileneuve in 2010, the Italian native Papis was narrowly beaten by Boris Said on the last lap. On Friday, Max Papis and the #33 Chevrolet topped the second practice chart. Other Road Ringer talents present at Road America includes Ron Fellows, Andrew Ranger and Alex Kennedy. With qualifying and the race set for Saturday, the NASCAR Nationwide Series Bucyrus 200 Presented by Menards will take place as a 50-lap affair starting at 4:30 pm.